We offer a wide range of Visual Merchandising products that are used in shopping malls, supermarkets and stores. These can be provided in customized sizes and specifications as per the requirements of our clients. Poster Frames & Accessories are ideal sales and marketing tool for a variety of retail and exhibition environments. These display picture frames allow the rapid removal of the poster without removing the unit from the wall. These display picture frames can be provided in customized sizes and specifications as per the requirements of our clients. Our Shelf Talkers are widely used in various supermarkets, shopping malls and stores. 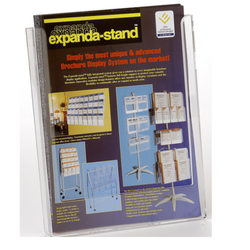 These shelf talkers assist the visitor to allocate the shelf where the products are stored in the premises. These shelf talkers can be provided in customized sizes and specifications as per the requirements of our clients.